To use the ashtray, open the cover. 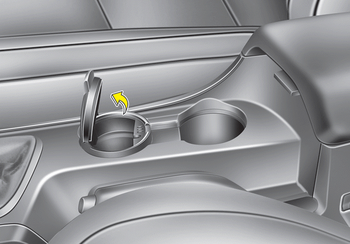 (Type B) To clean or empty the ashtray, pull it out. Do not use the vehicle’s ashtray as a waste receptacle. 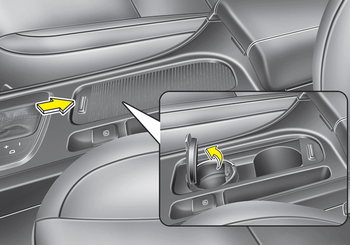 When cleaning spilled liquid, do not dry the cup holder at high temperatures. This may damage the chrome part of the cup holder.